Comilla Victorians, who thrashed Barisal Bulls in their first meeting, produced another dominating display in the return leg to secure their place in the final four. After the bowlers, led by Ashar Zaidi, limited Barisal to 105, Ahmed Shehzad struck an unbeaten 63-ball 76 to seal a seven-wicket win. Still smarting from their 58 all out against Sylhet Super Stars, Barisal struggled to cobble together a competitive total after being inserted. Chris Gayle was the first to go, trapped lbw by Shoaib Malik in the fifth over after scoring only eight. Evin Lewis too failed as he holed out to deep midwicket for 17, four overs later. Ashar Zaidi then deepened Barisal's trouble, his top-quality slower ball bowling Mehedi Maruf for a duck. Zaidi followed it with the wicket of Rony Taluklar to leave Barisal at 45 for 4 in 11.3 overs. Mahmudullah and Sabbir Rahman then got together and repaired the damage with a 43-run stand. Just as the pair shaped for a late flourish, Mahmudullah was bowled by Abu Haider for 26 in the 18th over. Soon after, Kamrul Islam Rabbi undid Sabbir with a beauty: a back-of-the-hand slower ball which yorked the batsman and bowled him between his legs, for 17. The double-blow meant that Barisal were kept to a low score again. Zaidi, who returned impressive figures of 2 for 12 in four overs, including a maiden, later played a supporting role in the chase. He made 20 off 18 balls in an unbroken stand worth 58, after Comilla were reduced to 48 for 3 in 9.5 overs. Liton Das was the first to go when he gave Sabbir a simple return catch off Sajedul Islam. Imrul Kayes was also out for a duck, edging Al-Amin Hossain behind in the fourth over, before Taijul Islam had Malik stumped. Shehzad, however, took up the lead role and helped his side surge ahead.He hit 10 fours and a six during his 63-ball 75 and profited from the pull and the cut when the bowlers erred short. 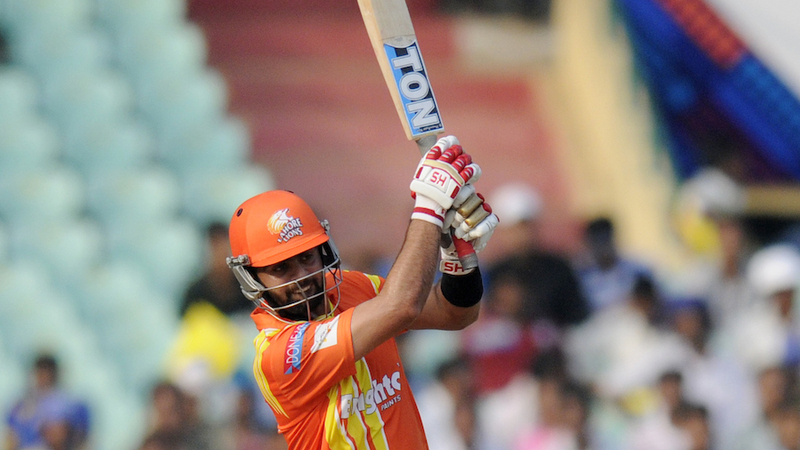 Shehzad even lofted Taijul over cover and midwicket, which gave one an impression that he batted on a different track.